Srinagar: Two militants were killed on Tuesday in a gunfight with security forces in Jammu and Kashmir's Pulwama district, police said.Their bodies have been recovered from the Mir Mohalla area in Tral region. "We have also recovered two AK-47 rifles. 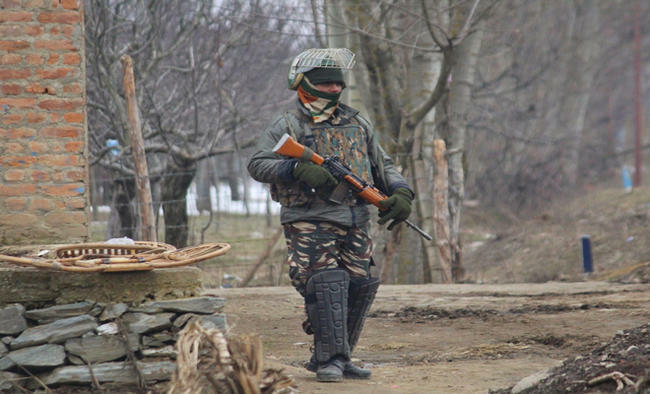 A combing operation is underway," a police officer said.The house the militants took shelter in was completely destroyed in the gun battle that had started on Monday evening.Mobile Internet services in the town was suspended.